The timeless scripture of nondual Truth known as The Song of Ribhu is the instruction given by the sage Ribhu to his disciple Nidagha set in the midst of the epic Sivarahasya. 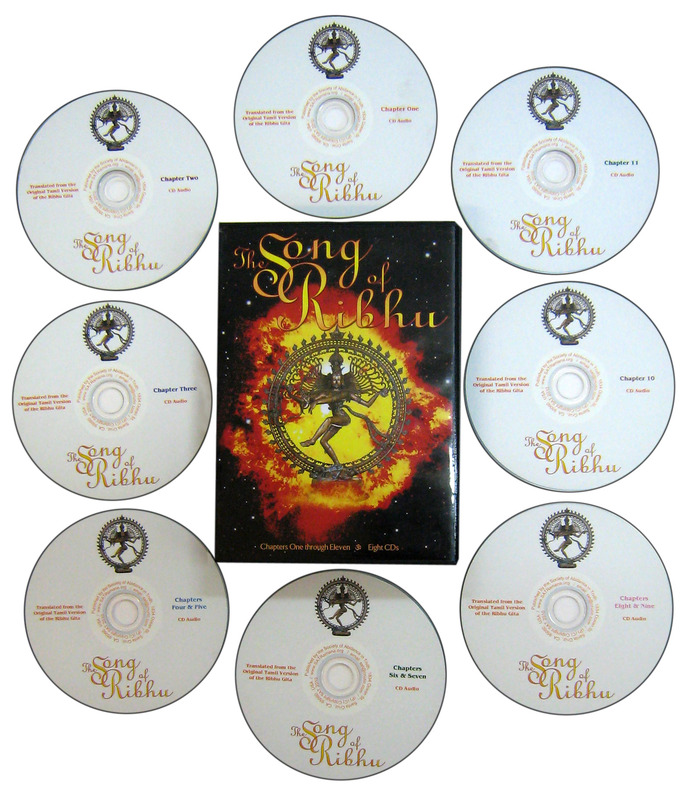 This set of 8 audio cds contains the first eleven chapters of the Song of Ribhu as translated from Tamil into English by Dr. H. Ramamoorthy and Nome and published by the Society of Abidance in Truth in the year 2000. This set is the first recording in English of this sacred scripture. 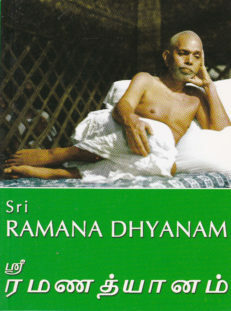 The verses are spoken in English clearly and slowly accompanied by soft vina music. certain to plunge one into the depths of the Self. Thanks to Claire Long of Wyastone Estate Limited for her kind assistance in arranging for the permission to use the vina music. This recording was made using simple equipment in the SAT Temple. Some listeners may notice audible imperfections, but that will not distract you from your plunge into the Self as you listen and meditate.